To determine what kind of foundation drainage system you should install, have a foundation expert evaluate your property. While surface drains can be of great benefit to many homeowners, you may want to pick French drains as opposed to surface drains if massive amount of moisture around your foundation are not an issue. Of course, flooding that occurs suddenly due to 4-5” of rainfall or more in the North Texas area can cause standing water. To avoid foundation trouble, it’s important to make sure that precipitation or other forms of moisture are directed away from your house. 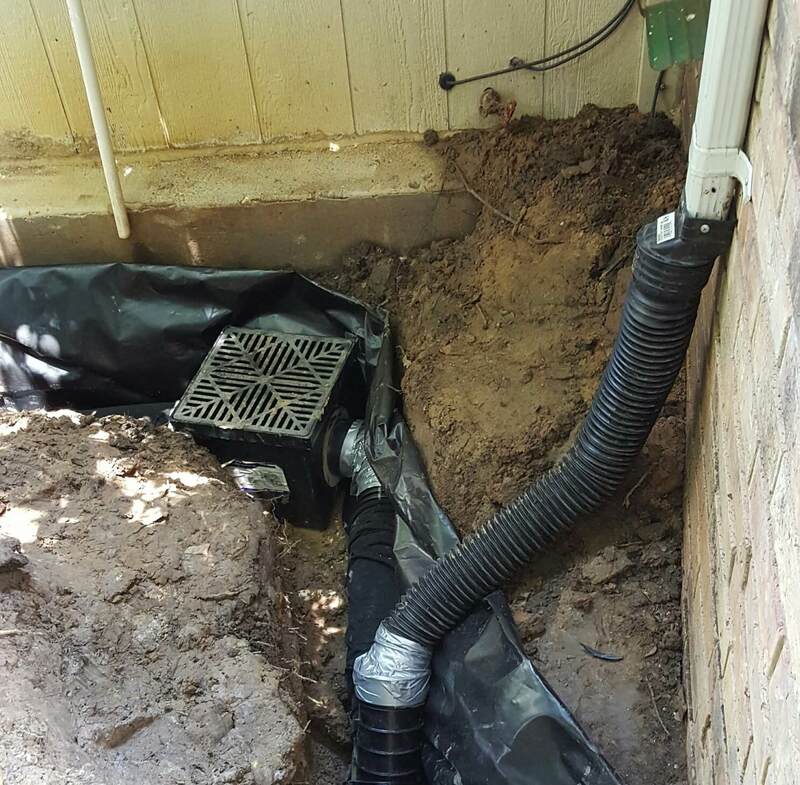 When selecting a drainage system for your foundation, contact a local foundation repair contractor. It’s important to learn the pros and cons of each system. To get more general information, read three tips for avoiding foundation drainage problems. Since rainfall levels are expected to be above normal in the in early 2016 due to unusual weather patterns, you may want to have your foundation examined soon. If you live anywhere in the DFW area, it’s wise to select this type of system when your house foundation has moisture slowly seeping beneath it. Address drainage issues before standing water is all around it. When choosing a French drain or surface drain, it’s important to remember that a French drain is designed to collect water that is accumulating below the surface, not above it. This is directly opposed to a surface drain, which collects moisture at the surface of the earth. You may want to study information on the drainage installation process for French drains, surface drains. Creating these particular types of systems involves digging a trench around your foundation. A non-porous plastic liner is generally placed in the bottom of the channel and draped up against the foundation in order to serve as a moisture barrier. Water drains through a perforated pipe that is placed inside the trench and covered with approximately ½” of rock or crushed pebble. A French drain is a good drainage system to pick if your foundation is exposed to average amounts of rainfall and is not threatened by serious flooding conditions. When Is A Surface Drain The Best Choice? It’s wise to install a system of this type when water is collecting right up against your concrete slab or underneath your pier and beam foundation. Pooling or ponding of water is cause for concern, especially in metroplex. If you have a negative sloped yard (which slopes toward your foundation), a surface drainage system is a better choice than a French drain. Sloping of more than 1”-1-1/2” on a 10’ run can result in excessive amounts of water seeping beneath your house. If the soil around your foundation always seems to be damp, the high moisture content in the dirt indicates that water is creeping under the soil and could be affecting your house. You might want to read about drainage systems or foundation repair. That’s because foundation upheaval can become an issue if this situation is not resolved by a contractor. When deciding whether you should select a French drain vs. a surface drain, consider this: The difference between the two is that a French drain is that a surface drainage system is comprised of collection boxes that are installed for the specific purpose of removing water that is located on the surface of the ground. If you have ponding or flooding issues, this is the type of drain you need. These boxes are connected to discharge pipes that can direct water as far away from your foundation as necessary. They can be 4’ long or well over 40’ long, depending upon whether the water is being discharged towards the street or to the outer edges of your property. An expert that does foundation work can tell you if you all about open top as well as closed top surface drainage systems. So for a free evaluation, contact HD Foundations to schedule a free evaluation. We service the entire DFW area.